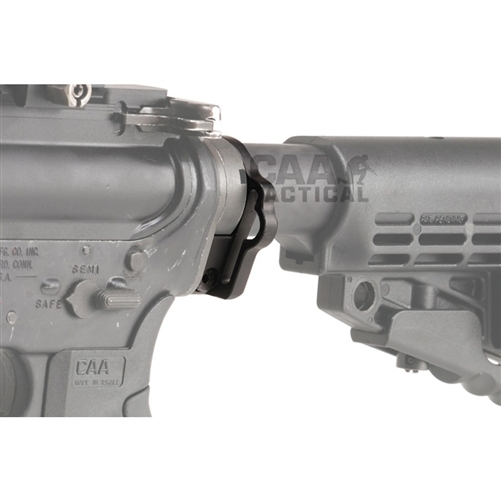 The Command Arms OPSM One Point Sling Mount fits AR15/M4 carbine buffer tubes to provide an attachment point for the Single Point Carbiner Sling or sling webbing. 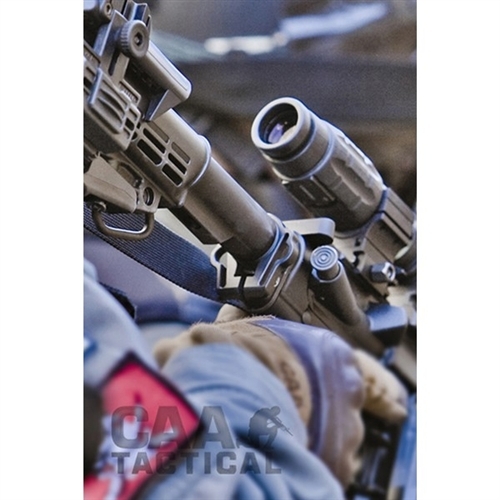 Positioned behind the receiver, the OPSM provides a comfortable method for ambidextrous and balanced weapon carry. No disassembly is required. Simply remove stock, slide on and tighten. It's that simple. No Gunsmithing! No problems with the Unit Armorer. Black. 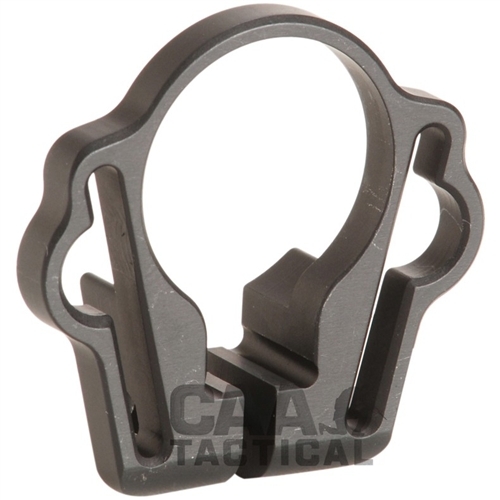 The Command Arms OPSM One Point Sling Mount fits AR15 carbine buffer tubes to provide an attachment point for the sling. 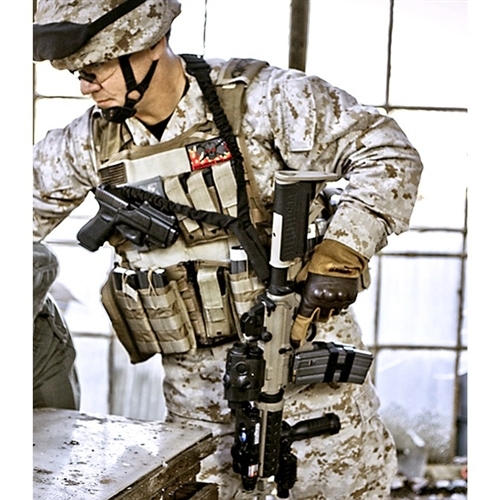 Positioned behind the receiver, the OPSM provides a comfortable method for ambidextrous and balanced weapon carry. Use with single point carbine slings or sling webbing up to 1.25" wide. Ideal location to balance the weapon when transitioning to a handgun. Screw locks on securely clamps OPSM on to the tube. Easy & fast installation - no need to disassemble the tube. Design for both left/right handed users.